Attention Women’s Fund Members: North State Giving Tuesday is fast approaching. Consider renewing your annual dues or enrolling new members on North State Giving Tuesday. 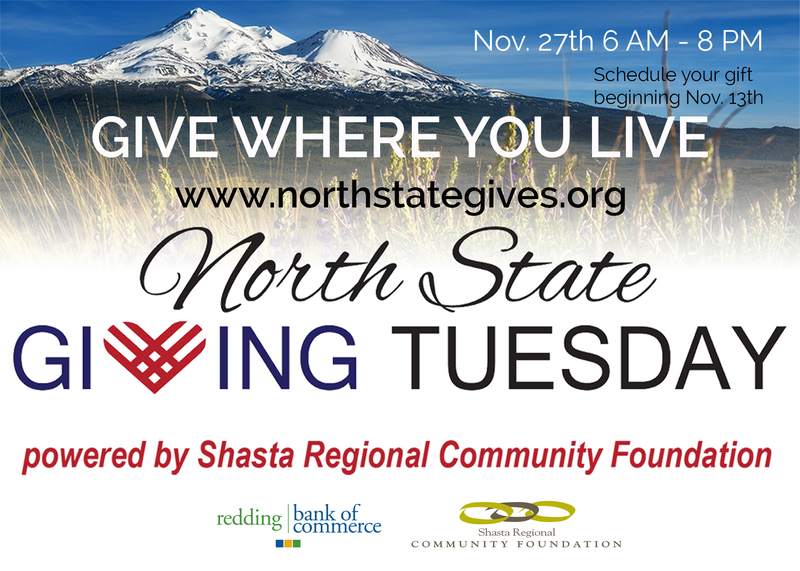 The Women’s Fund receives bonus money from the Shasta Regional Community Foundation for payments made on North State Giving Tuesday, November 27, 2018.